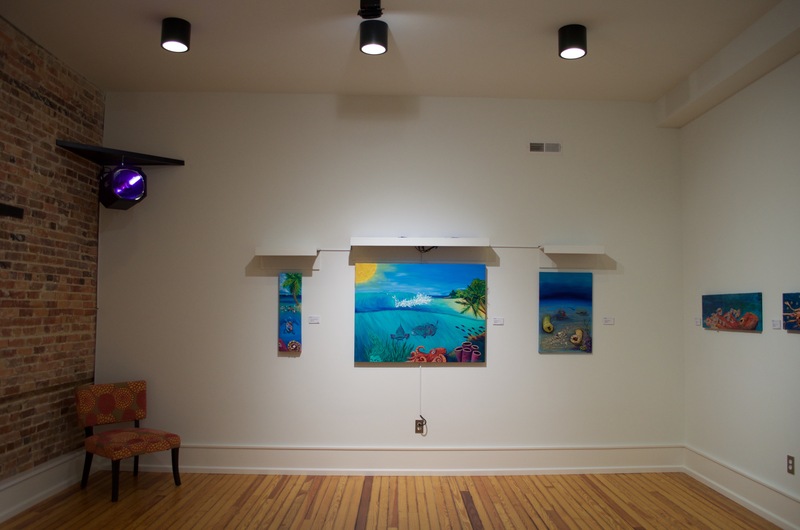 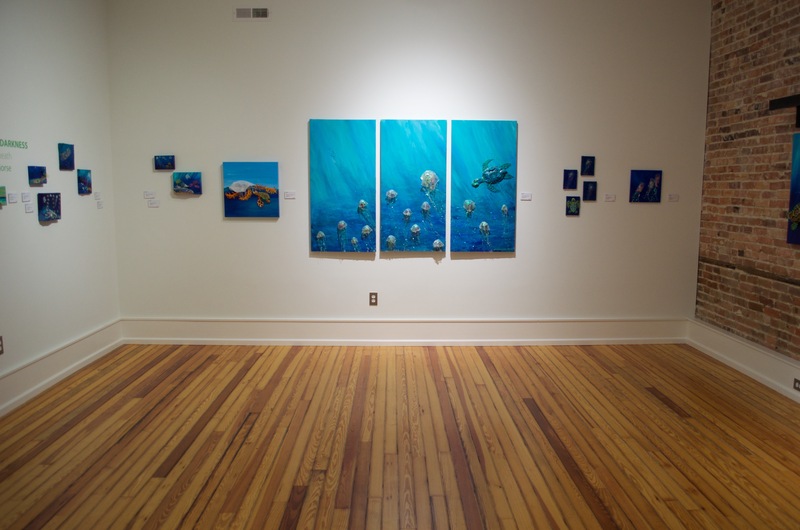 Expo 216 is a new art gallery/museum hybrid in downtown Wilmington, NC. 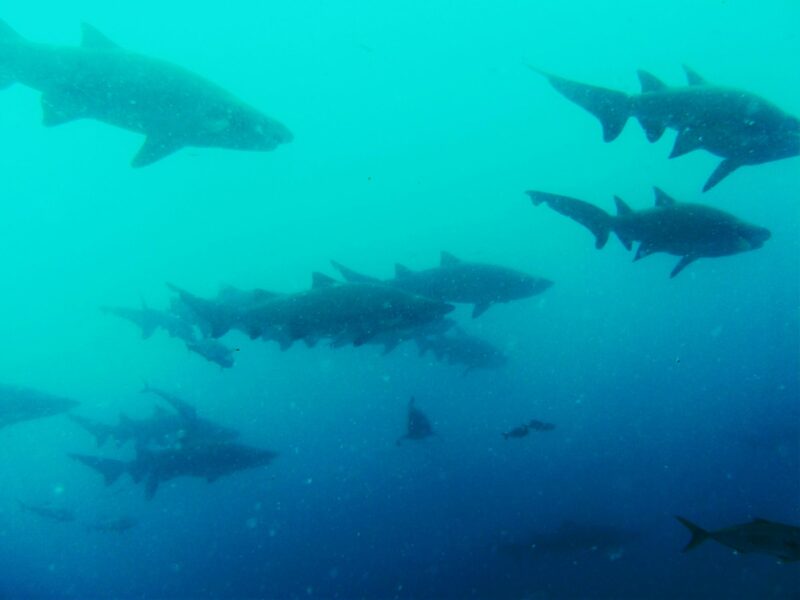 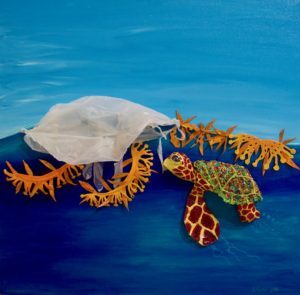 The grand opening exhibit, Ocean Plastic, will run through the end of the year 2016.The exposition focuses on the issue of plastics being overly disposable and the harm it is doing to marine life. 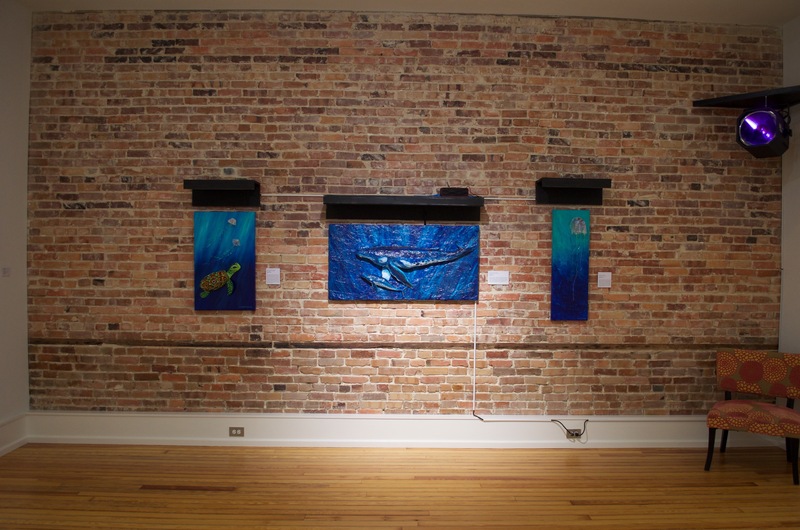 There is a CSI: Albatross interactive exhibit inspired from photographs by David Liittschwager, as well as other educational exhibits mingled with art from local artists and fashion designers, and fill over two stories of the building. 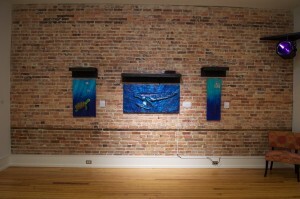 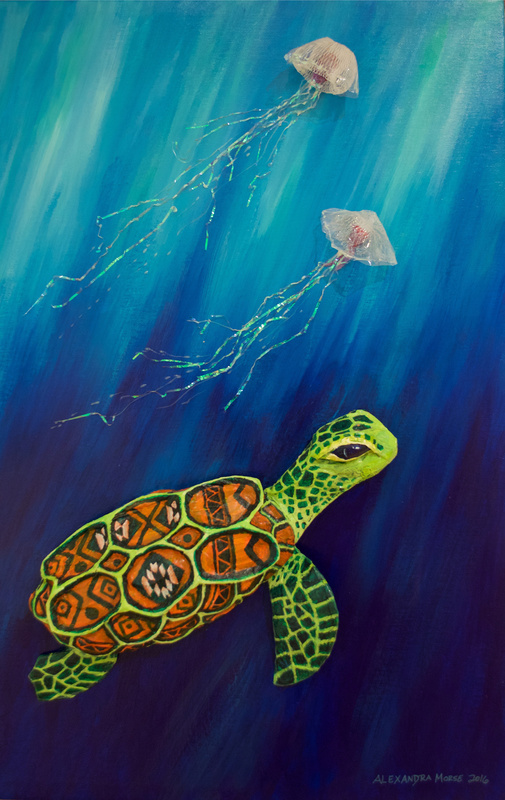 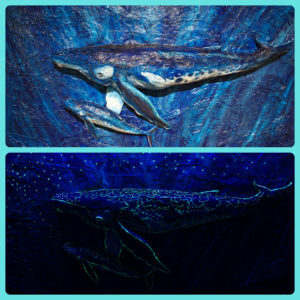 Artist and Plastic Ocean Project activist, Bonnie Monteleone, has an educational exhibit upstairs, What Goes Around Comes Around. 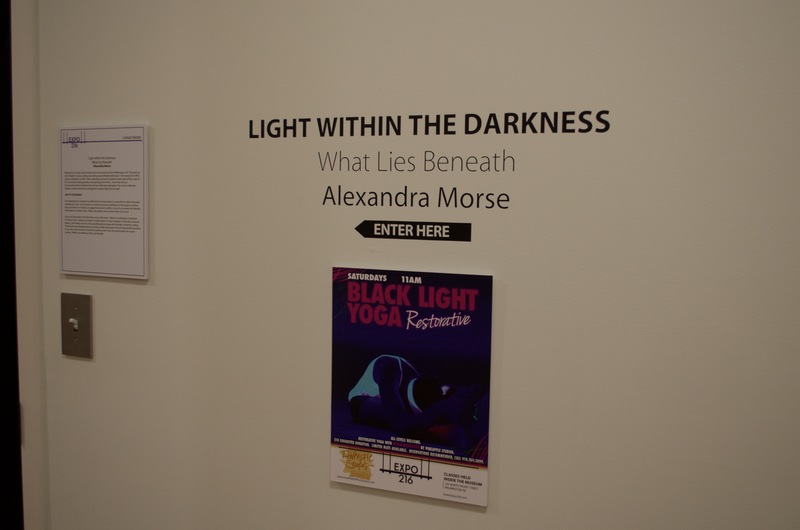 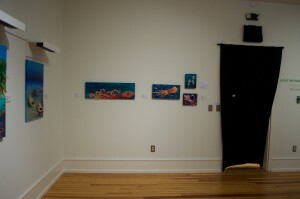 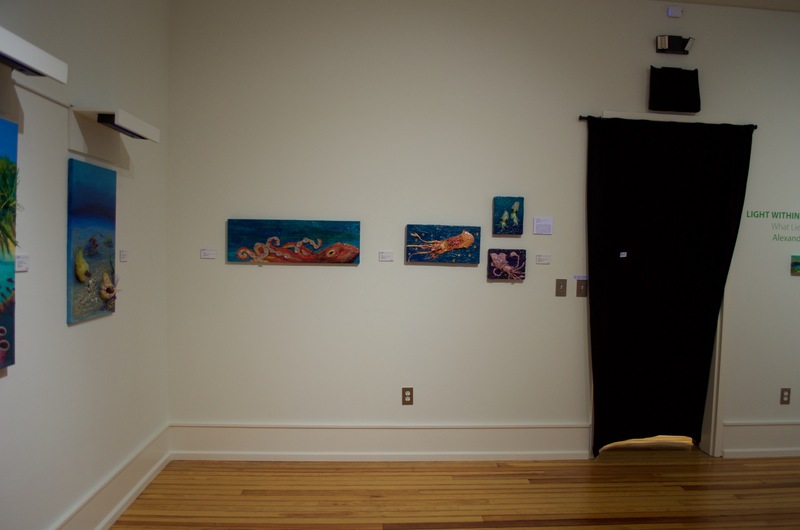 Down the hall in the theatre room is my exhibit; Light within the Darkness: What Lies Beneath. 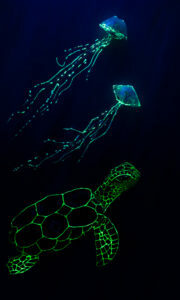 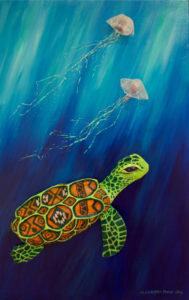 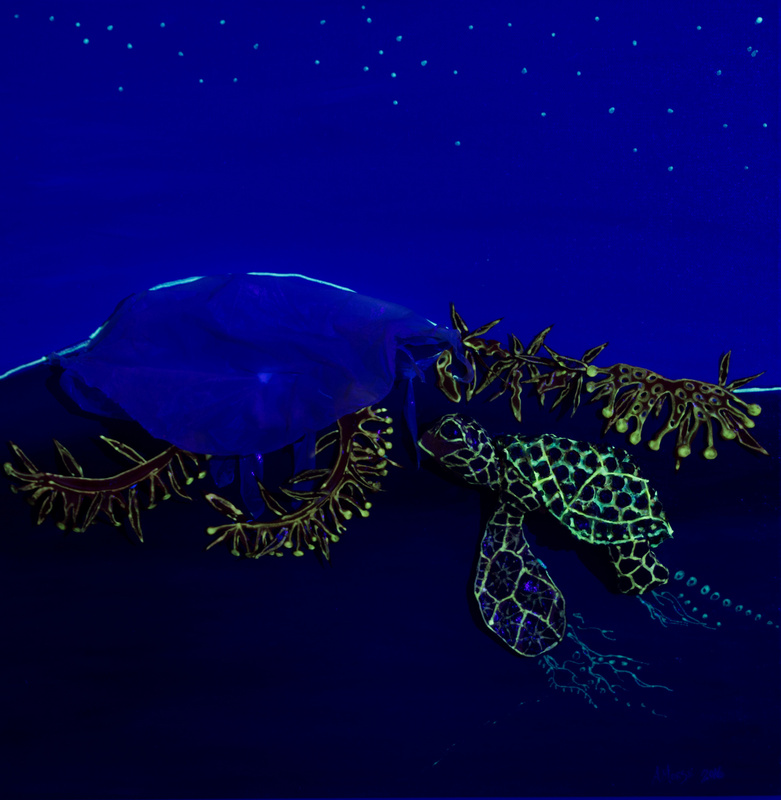 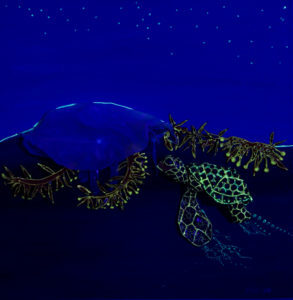 The installation is a series of underwater scenes of marine life (sea turtles, jellyfish, squid, etc.) made out of recycled plastics and interacting with plastic trash. 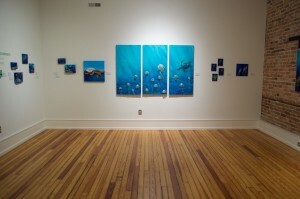 The lights in the room may be switched between gallery lighting and backlight to show the “bioluminescence” in the paintings. 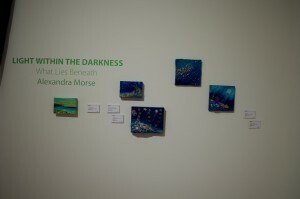 Previous PostPrevious Spring into Art!